What is Cupping? 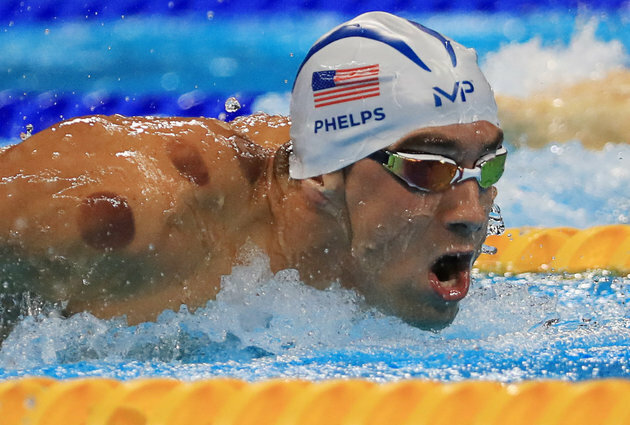 Cupping is a technique practiced by using heat or air vacuum by placement of cups to muscles or tissue. It is commonly used in conjunction with massage, acupuncture and chiropractic care. It has been practiced in ancient and traditional Chinese Medicine for over 3000 years. Chinese Medicine believes cupping influences the “Qi”, or energy flow throughout the body. How is cupping preformed? The Practitioner will place cups over lightly oiled bare skin, on muscles or tissues that are congested or contracted. The cups are left in place 5-15 minutes while the “vacuum” lifts layers of muscle off one another releasing the Myofascial sheaths and adhesions. The vacuum created by suction aids in pulling blood flow to that area, provides better circulation by relieving tension and helps chronic pain sufferers. The session will leave you with small circular shaped bruises that will generally disappear in 5-7 days. Another benefit to cupping therapy is the pulling rather than direct pressure application has a parasympathetic response over the body which allows for deep relaxation. Who should try it? Anybody interested in helping with tightness, stress, deep tissue issues, and Athletes. Clients are asked to spot treat areas as needed no more than twice a week (3-5 days apart). Drink plenty of water after your appointment and hold off on showering for a few hours. Contra-indicated or people with sensitive skin, edema issues, leukemia, allergic dermatitis, and cardiac issues, any broken , dislocated bones or slipped discs, cancer patients, fever, dehydration and bleeding disorders should seek medical advice before trying cupping.